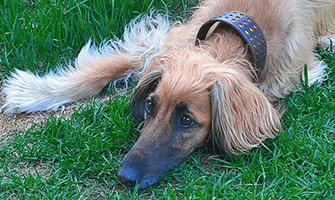 The idea to create beautiful yet functional and comfortable hound collars was born out of our frustration. 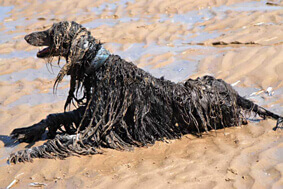 No matter where we looked, we could not find a wide sighthound 'fishtail' shaped collar that was both soft, strong, stylish and also practical enough to be used every day on muddy walks in London's Hampstead Heath by our two Afghan Hounds, Doushman and Kazbek. After five long fruitless years of searching at dog shows and shops all over Europe and Scandinavia, we decided to try our hand at designing and making our own collars. And so Dog Moda was born back in 2005 with our first hound collars and leather key rings going on sale at Crufts 2006. We pride ourselves in the quality and design of our products, personal and friendly customer service and fast delivery times. We design and make Dog Moda collars by hand from the highest quality leathers to our own unique designs. All Dog Moda leather sighthound collars are hand made, fully padded and lined, and are shaped to be comfortable for sighthound's delicate necks. We believe our collars are some of the best on the market and the many cheaper shameless copycat models are a testimony to our success. All our products are designed in house at our studio in North London and are road tested on London streets and parks. 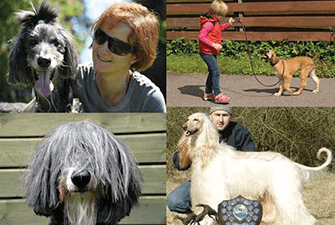 We have nearly 30 years experience of owning, training, judging and successfully showing and lure coursing our Afghan hounds, Borzoi and a Silken Windhound and design and make collars with true passion and knowledge of sighthounds and their unique needs. We have had great fun and success in the show rings and lure coursing fields around UK and Europe with our Afghan Hounds Doushman (Int UK Ir Fin Dk Balt Est Lt Ltv Svn Ch Shadowfax Stepnoi Veter JW CW-06 GLCM, Crufts BOB 2009), Kazbek (Int Ir Svn Ch Shadowfax Ciao Aquilo JW SLCM) and Plush (Int Svn Ch Shadowfax Ciao Agrippina JW). Quality and safety are important to us. We do not stock any products we would not use on our dogs ourselves. All Dog Moda dog leads use the safest trigger hook on the market, which, unlike many inferior quality trigger hooks, is impossible to pull or open accidentally. This type of trigger hooks is used by husky teams and climbers in Scandinavia. They are easy to operate in adverse, wet and freezing weather conditions - important point when living in rainy UK or cold Scandinavian countries where wearing gloves is an everyday necessity when walking dogs in winter. We feel strongly about pedestrian safety and the use of reflective collar tags and clothes in the dark to enhance your own and you dog's visibility to oncoming traffic. We stock reflective dog collars, collar tags and snoods. All purchases from Dog Moda website come with a FREE reflective dog collar tag to promote and encourage the importance of using reflective products for safe road use at night. Dog Moda is a small British based family run business. The two humans on our team - Masha and Victor, found that making these functional hound collars and accessories has fulfilled our passion for design, creativity, business, people and all things sighthound. We have much fun designing, testing and making our products - we hope you and your hounds will have as much fun using them! In 2011 Vera joined our family. She loves helping in the stock room sorting and counting through boxes of materials, finished sighthound collars and key rings. If Vera could have her way, all our products would come in just one colour - purple! We currently have three active members in Dog Moda's canine family. Plush, Kazbek's sister, is enjoying her retirement having celebrated her 14th birthday in June 2017. Young Bella's duties are the position of Chief Product Tester and being a naughty wild Afghan youngster. Her favourite Dog Moda products are the leather treat bags, but only when they are full of cheese! 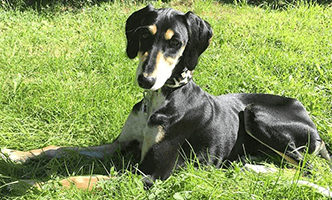 Altai is our first Saluki and joined us in July 2017. We are loving every minute getting to know this highly intelligent and oh so handsome young man, who is now officially part of Dog Moda's product testing and security teams. Stylish soft padded leather hound collars, dog leads, treat bags, key rings and accessories designed handmade in UK for all sighthounds. If you need help with choosing Dog Moda products for your hounds or have any questions, do not hesitate to call u$ on +44 (0) 20 3582 4532 or send us a message. We are open to help on Monday - Friday: 09:00 - 18:30, while on Saturday - Sunday: 10:00 - 16:00.